Application Deadlines: January 31, 2019 for September 2019 entrance. The application portal is now OPEN for 2019. Complete applications will be viewed AFTER the deadline only. Our graduate programs in Labour Studies are widely recognized around the world. The program aims to develop a new generation of scholars prepared to contribute to research leadership in the academy, the community, policy arenas and organizations representing working people. As a small interdisciplinary program, students will enjoy strong mentorship from leading scholars in the field and benefit from the strong union and community connections of faculty. Contact us today to discuss finding the right supervisor to mentor you through your graduate research and to discuss what the School of Labour Studies has to offer. Reputation: One of only five Canadian universities (and one of only two in Ontario) consistently ranked among the Top 100 in the world by the major global ranking systems. There are a lot of factors to consider when choosing a Grad School. Consider what type of area you would like to live in while you are pursuing your degree. McMaster University has a beautiful campus with world class facilities in a known for it's amazing natural spaces, including the Niagara Escarpment, Bruce Trail, Grand River and over 100 stunning waterfalls, a vibrant arts and culture scene, awe-inspiring attractions, fantastic festivals, and distinct downtown. The McMaster campus boasts a number of outstanding recreational facilities that are available to grad students at any time of the year. These are found at the David Braley Athletic Centre, one of the largest of its kind at a Canadian university and just a short walk from our offices in University Hall. Students enjoy free access to swimming facilities, squash courts, and an indoor track. For a small fee, members can enroll in spin classes, yoga, dance, martial arts, and tai chi, as well as make use of the weight room, stationary bikes, and indoor climbing wall. No doubt, the Graduate Student Association will play an invaluable role by offering networking, scholarship and career development opportunities but the GSA also provides another crucially important service to the students: they manage The Phoenix, a bar and restaurant located in the historic Refectory building. The Phoenix staff are the keepers of the McMaster version of the Holy Grail, The Thallion. Only those that have successfully defended their thesis may drink from this mystical chalice. 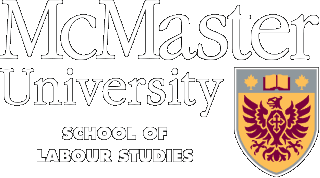 McMaster is situated in Hamilton, Ontario, a city of more than half a million wrapped around the western most shore of Lake Ontario, approximately equal distance between the cities of Toronto and Buffalo, New York. Hamilton is also home to the Workers Arts and Heritage Centre. Conceived in the late 1980’s by a dynamic group of labour historians, artists, and union and community activists who gathered together to discuss the need for a place where workers’ history could be celebrated. In 1996, after intense work by a volunteer board of directors, the (Ontario) Workers Arts and Heritage Centre purchased the historic Custom House on Stuart Street in the north end of Hamilton. The WAHC aims to preserve, honour and promote the culture and history of all working people. Once characterized as an industrial center, Hamilton is experiencing a period of intense revitalization. The downtown is now home to one of the most exciting arts and culture scenes in the country, with new shops, galleries, collectives, and restaurants opening all the time. The majority tend to prefer a living arrangement that will place them close enough to campus for an easy commute, while also giving them a chance to experience life in Hamilton on its own terms, apart from the university. This has often means living in the communities of Kirkendall, Durand, and Corktown or to the west in the town of Dundas. Space in these neighborhoods is coveted not just for its proximity to the school: these are vibrant, historic, walkable communities with a wide variety of amenities and attractions. Our students have reported success in finding accommodations using the McMaster Off-Campus Resource Center, as well as private services such as Padmapper and Kijiji. Newcomers to Hamilton are often surprised not only by its dynamic neighborhoods by its impressive natural beauty as well. The city is bisected by the Niagara escarpment, creating an ‘Upper’ and ‘Lower’ Hamilton. There are breathtaking views to be had when traveling between these two, especially on foot. Hamilton is also home to more than 100 waterfalls and cascades, and to numerous trails and hiking paths.